It only takes one time to learn the error of trying to grill a block or wheel of cheese by putting it directly on the grill. Fortunately, for many of us that one time never happened. Unfortunately, because we know cheese to melt, we never tried it. Luckily, for the adventurous and non-adventurous alike, there is a simple solution. The Gourmet Cheese Grilling Planks are made from maple wood and are perfect for creating smoky and gooey melted cheese out on the grill. After soaking for one hour, the 6-inch square planks are ready to go. 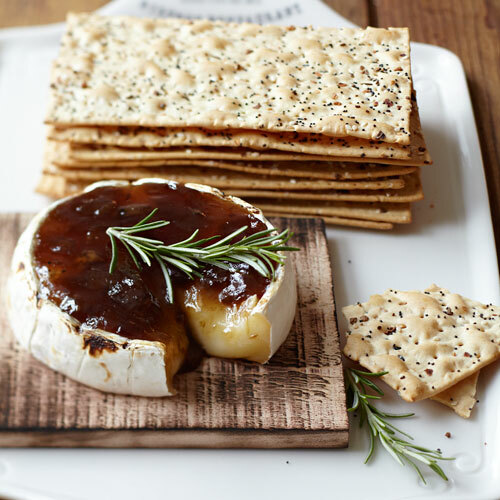 Place brie, cheddar, or whatever on the planks and create your own smoked cheese–without it falling into the fire. Can be reused if not too charred, although that might just bring more flavor to the party. For well under ten bucks, it’s an experiment worth trying.